Though the global center of Christianity has been shifting south and east over the past few decades, very few theological resources have dealt with the seismic changes afoot. The Majority World Theology series seeks to remedy that lack by gathering well-regarded Christian thinkers from around the world to discuss the significance of Christian teaching in their respective contexts. The contributors to this volume reflect deeply on the role of the Holy Spirit in both the church and the world in dialogue with their respective contexts and cultures. Taking African, Asian, and Latin American cultural contexts into account gives rise to fresh questions and insights regarding the Spirit's work as witnessed in the world and demonstrates how the theological heritage of the West is not adequate alone to address the theological necessities of communities worldwide. 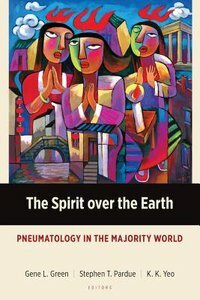 About "The Spirit Over the Earth: Pneumatology in the Majority World"
6. Who Is The Holy Spirit In Contemporary African Christianity?